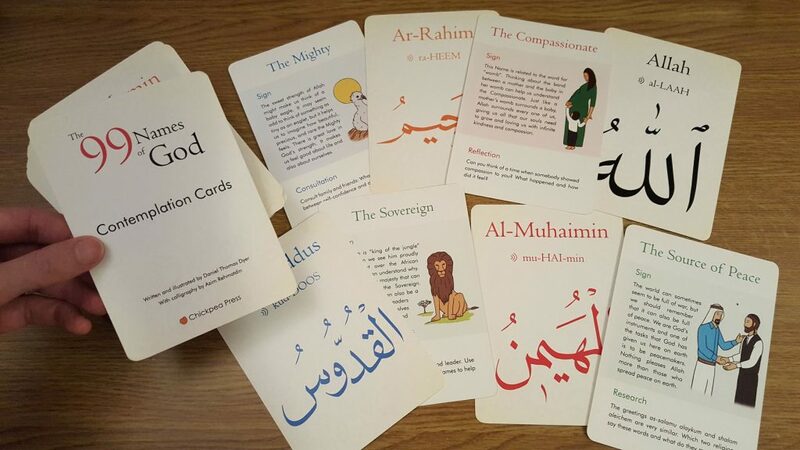 Get our best-selling Contemplation Cards on the 99 Names of God. In 2017, we created a limited number of these card sets and they sold out within 3 months! We’ve been getting requests to reprint and finally we are at a stage to deliver our new-and-improved version to you! Pre-order your set now at our discounted rate for delivery in early May. This new edition comes in a sturdy, hard-cased box making storage and travel easier. Our family are indebted to you. We LOVE these cards. Amazing way to keep God in mind in a practical way. You can donate to help us get more cards printed or you can pre-order your sets now for delivery early May. The printer is already working on them so there is no risk that you won’t get what you have paid for! Donation: to thank you for your donation we will send you an A4 print of one of the Names with an illustration and quote from the book. One set: you get one set of cards. Two sets: you get two sets of cards. 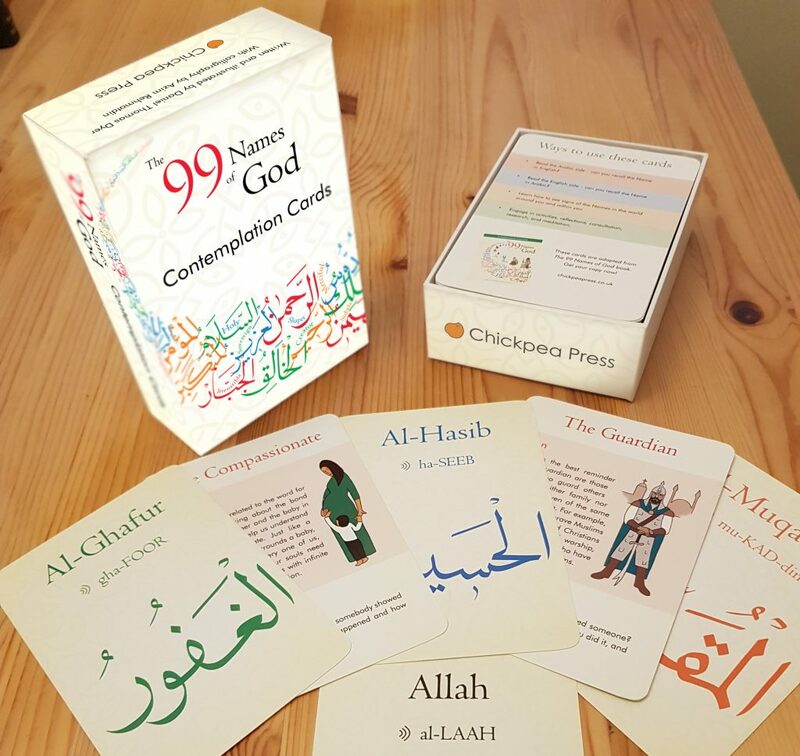 Three sets: you get three sets of cards AND a free The 99 Names of God Kindle ebook. The ebook contains audio recitation of all the Names of God (available on Kindle and Android devices, iBook version coming later this year). Parents should buy this because it teaches not just about religion but why these Names have been given by Allah, and it’s great for me to learn about them!